☘️ Among Cinnamons most impressive health benefits is impact on blood sugar and ability to improve glucose control. this herb can normalise blood sugar levels, helping to reduce cravings for sugar. By controlling blood sugar levels you can prevent spikes after meals. ☘️Ranks #1 with it’s protective antioxidant levels than many so-called antioxidant foods, like-for-like. For example, one teaspoon has as much antioxidant capacity as a full cup of pomegranate juice or a half-cup of blueberries. ☘️Over seven kinds of flavonoid compounds so it is highly effective for inflammation throughout the body. ☘️Studies have shown that it reduces several of the most common risk factors for heart disease, including high cholesterol levels, high triglyceride levels, and high blood pressure. ☘️Contains many antioxidants and it’s anti-inflammatory compounds that reduce the effects of aging on the body and brain – activates neuro-protective proteins that protect brain cells from mutation and undergoing damage. 💚 A natural anti-microbial, anti-biotic, anti-fungal, and anti-viral agent. The immune-boosting abilities are found in the essential oil. ☘️ Its naturally sweet taste, adding cinnamon to foods and recipes can help you cut down on the amount of sugar you normally use, thereby lowering the glycemic load of your meal. 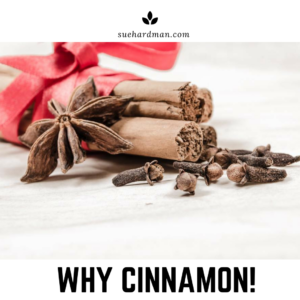 When adding cinnamon to your diet, daily, you can also make a big difference to controlling sugar cravings and the glucose spikes. Of course if you want to know why sugar makes you look older than you are – read more HERE What do you need to do to reap the benefit? 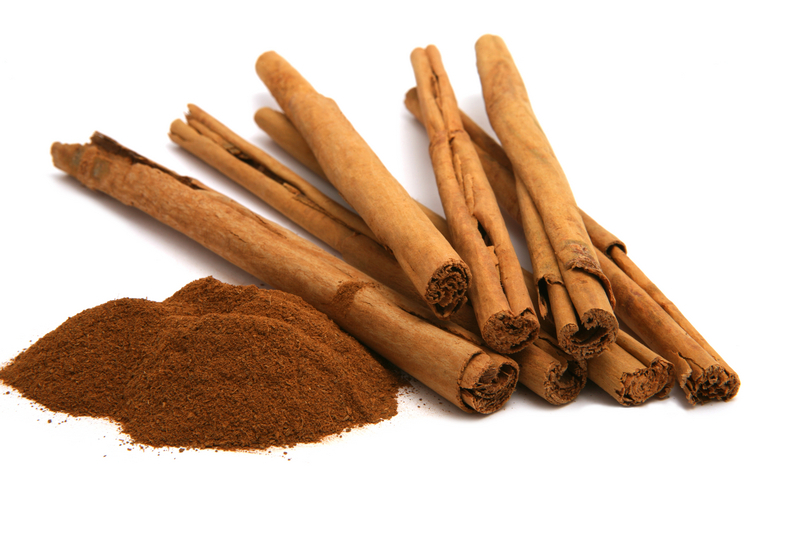 By just having a ¼ or ½ teaspoon of cinnamon you can start lowering and regulating your blood sugar levels. Just remember that unless you’re adding it to a balanced healthy diet – high in vegetables and extremely low in fructose and grains – you’ll likely not experience any benefit. Sprinkle cinnamon onto your whole grain oatmeal, cereals, yogurt, soups and sauces – even your smoothie! Simmer your favorite tea, coffee or beverage with cinnamon sticks or sprinkle with cinnamon powder, creating the perfect breakfast drink or bedtime nightcap.